Hailing from Falmouth, Cornwall, four-piece LIPS have a talent for creating jangle-pop perfection, and their most recent single 'Walls' is certainly no exception. As soon as you hit play on 'Walls', you can feel the raw energy that they're trying to convey through their music. The shimmering vocals of Rachel Anstis are surrounded by shadowy guitars and percussion, and the final result is astonishing. There's an aura of nostalgia weaved through 'Walls', and this compliments the shoegaze energy of the track. 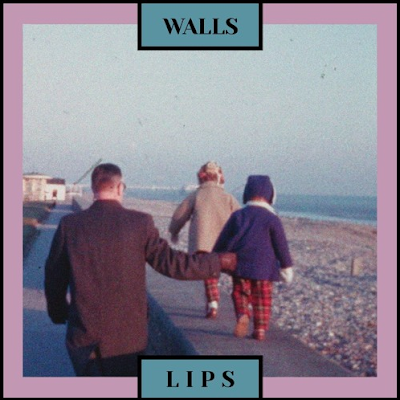 LIPS' previous releases 'Apartment' and 'Heart Fixer' have provided an excellent introduction to their sound, and 'Walls' is a delightful addition to their growing catalogue of tracks.